When you are seriously delinquent on your mortgage payments and foreclosure is imminent, do not ignore the problem! The faster you take action and contact us for help, the more likely you are to obtain a positive result. There are several options available for avoiding foreclosure of your home, which can preserve your ability to re-establish your credit score. In fact, you may even qualify to buy another home in the future. Sell your house. Selling your home on your own prior to it being auctioned off by your mortgage lender is not only better for your credit score, but it may also allow you to keep any equity that remains in it. Where possible, you should take action to make your home appealing to potential buyers, even if it means reducing the asking price to below what you need to pay your mortgage loan in full. We can help you understand what a short sale requires or if paying the remaining deficiency is manageable for you. Negotiate better payment terms. It never hurts to discover whether your mortgage lender is willing to work out a deal with you. This may include negotiating to reduce the applicable interest rate and/or to lengthen the term of your loan to lower the amount of your monthly payments. File Chapter 7. 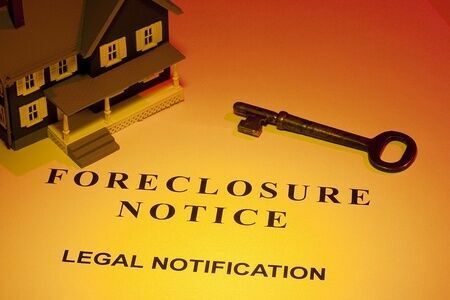 When you file a Chapter 7 case, the foreclosure activity against you must cease, at least for a little while. During this time you can negotiate with your lender. If you decide to surrender your home in your bankruptcy filing, you can usually discharge any deficiency balance that is remaining on your debt after your home is sold at auction. File Chapter 13. If you have a steady source of income and you want to keep possession of your home, filing a Chapter 13 case can allow you to catch-up on your past due payments. You can make small payments in your repayment plan that are applied to your deficiency so when you successfully conclude your Chapter 13, you are current on your mortgage loan. Short sale. In order to short sale your home (sell it for less than what is owed on your mortgage), your mortgage lender must be involved and approve the sale. 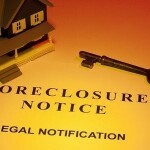 Many lenders will agree to this type of sale in order to avoid the time and cost of the foreclosure procedure. It is important that verify that the short sale of your home will be considered full satisfaction of your mortgage debt. Otherwise, you will remain liable for the deficiency balance. Let us review your unique financial situation before you pursue any of the above options and help you understand which strategy is the most beneficial for you. We can make sure you understand the tax consequences, if any, of your decision as well as the other advantages and disadvantages. This entry was posted in Foreclosure and tagged bankruptcy, foreclosure, home, house, short sale on August 25, 2015 by Michael Faro.